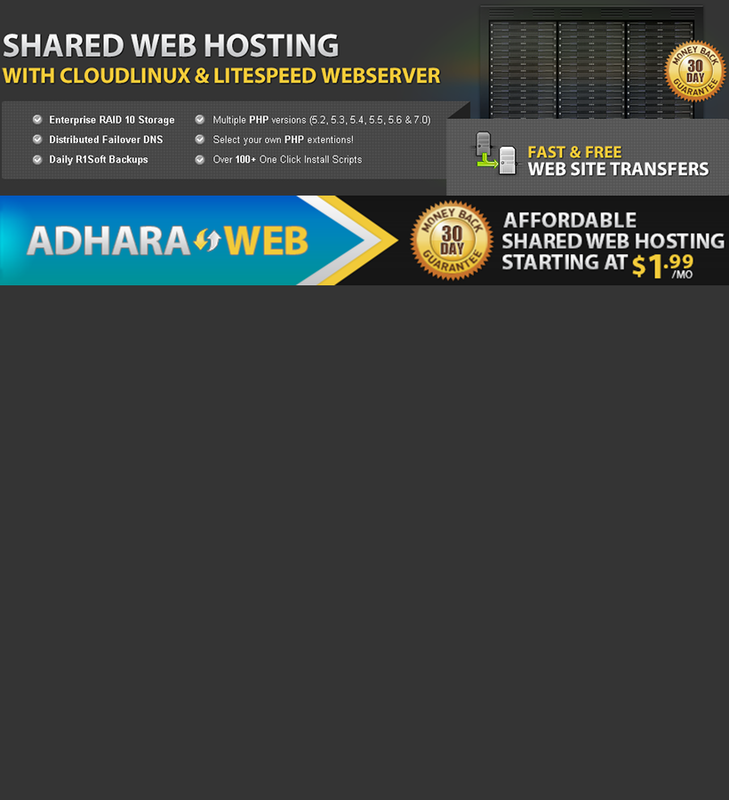 Hello, [url=https://adharaweb.com]Adhara Web[/url] is a new web hosting provider that is owned by experienced admins with a team of tech support agents serving you 24/7 with an average response time of 30 mins. We are smaller than your typical web host provider but we are backed by multiple investors who would like to see us grow. I believe being small has it's benefits of a more personalized and professional service that really care for their clients. Right now we are offering four shared web hosting packages to suit the needs of your typical website from a Budget plan to our Ultimate plan. Our Advanced & Ultimate plan also comes with a free domain name registration if you signup for an Annual term. Right now we are offering new clients a lifetime recurring discount of 25% for all plans on any term! If you prefer a one time discount we are also offering a 50% one time discount on any term! You save more money for a higher term!